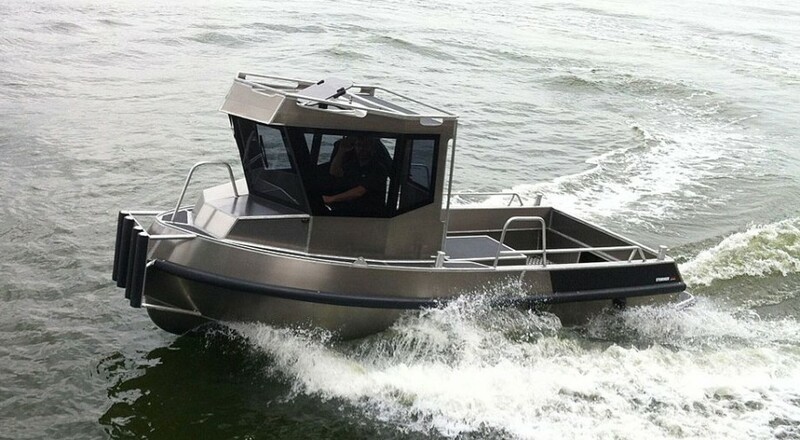 The Stormer Porter Inboard was designed as a multipurpose “pick-up truck on the water”. It can carry a 1.22 x 2.44 m load while still being light and compact and able to be moved on a trailer. It is available in 6.50 and 7.50 m. versions. The push bow and rubber fender make the Porter a very robust and easy-to-handle boat. It is built with a conventional propeller shaft and powered by naturally aspirated diesels from 28 to 110 hp. For non-diesel applications it can be powered with single or twin outboard engines. A hybrid version is also available. 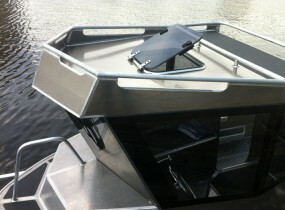 The Porter can be built in different configurations with winches, a towing pole etc.